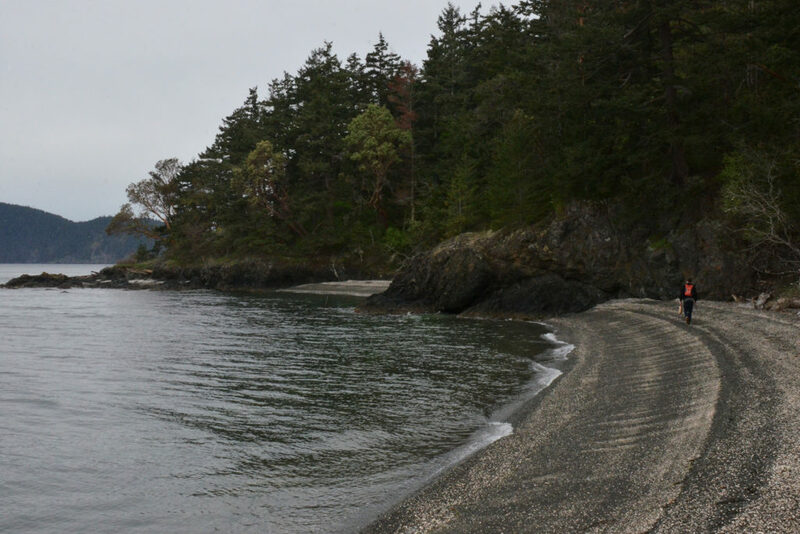 We visited on a cloudy, rainy day in late April, finding it to be a beautiful island. 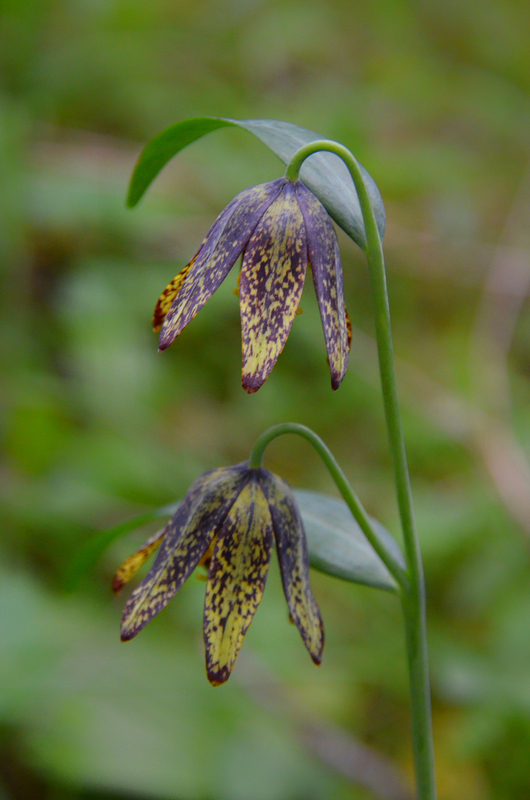 Click on the images below to make them larger. 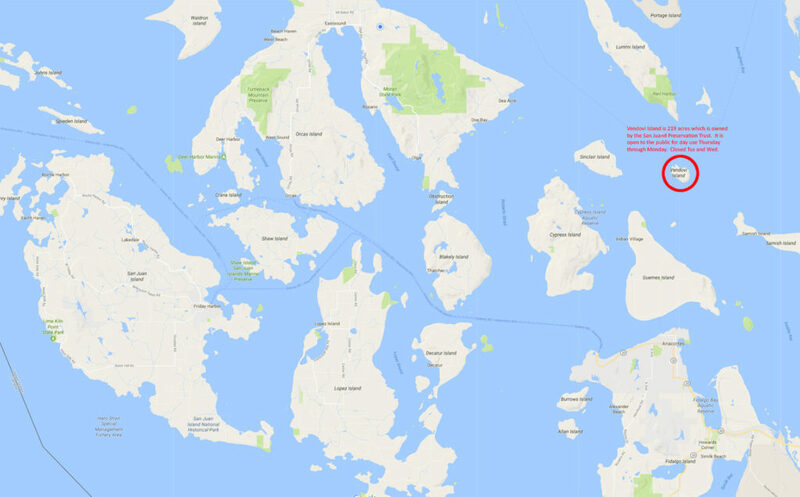 We took a water shuttle from Anacortes to Vendovi where we had about three hours until the shuttle returned to pick us up. We went as a part of a guided tour conducted by the Trust. There were eleven of us, and we were fortunate to have several Trust employees along who gave us the history of the island and how it became Trust property. This is the landing area for our shuttle. 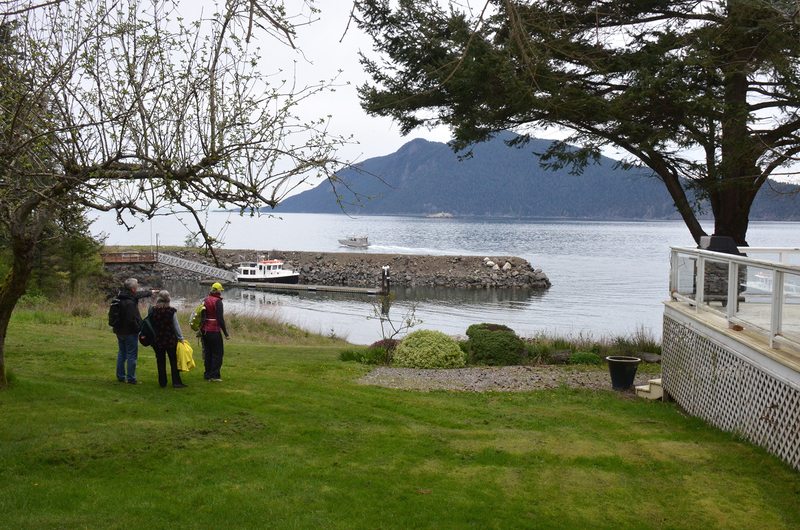 The aluminum boat just leaving is how we arrived. 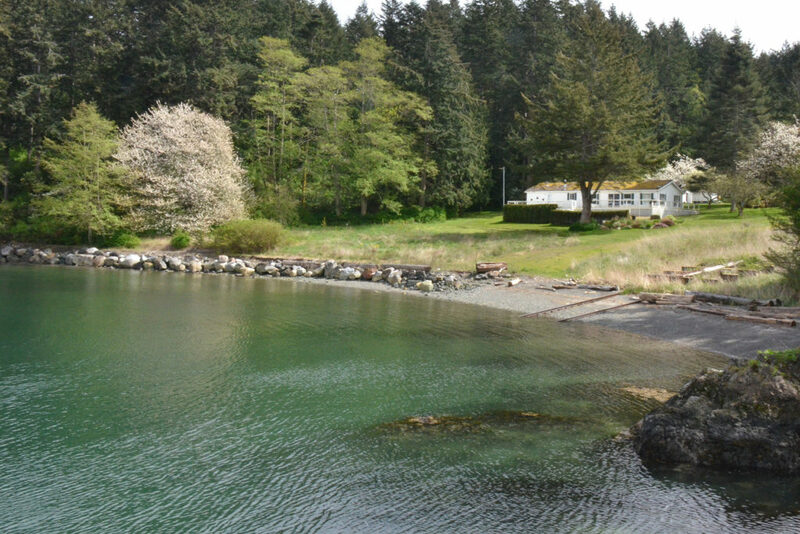 John Fluke, the inventor of electronic test equipment, and his family were the previous owners of the island. He made this one of his homes. He loved the island enough that he was buried on the island. 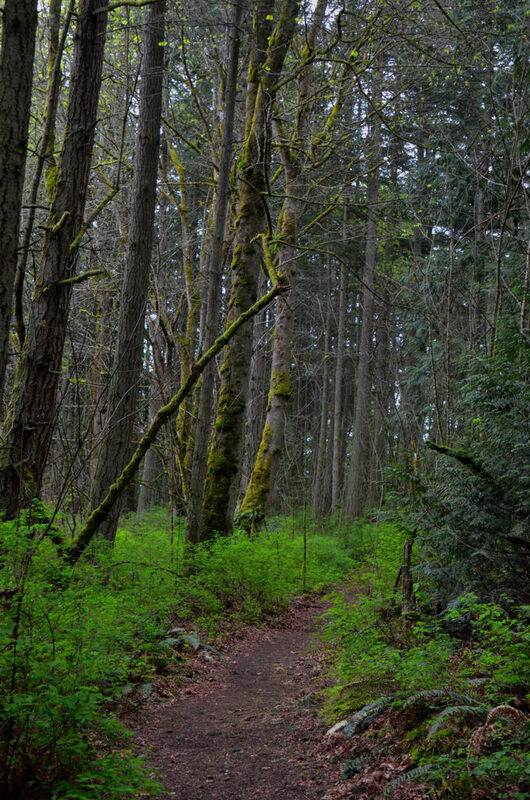 There are about three miles of trails on Vendovi. It is unique in that it doesn’t have deer on the island. 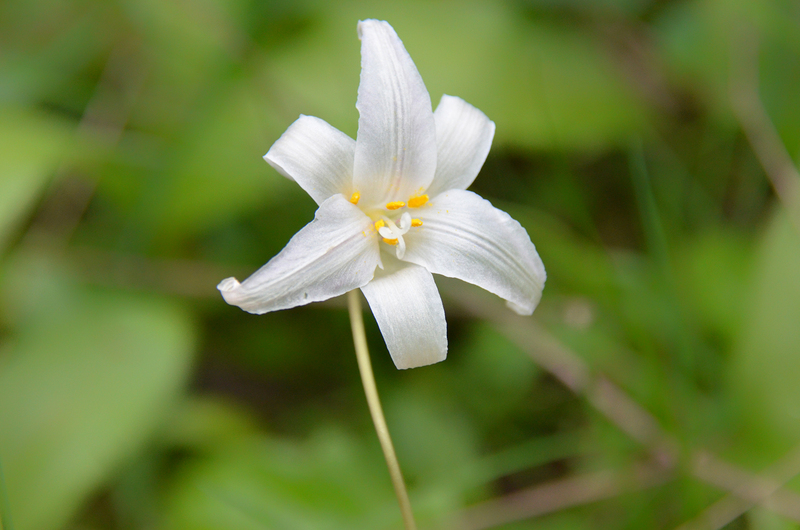 As a result, the understory is much thicker than in deer-populated regions. The ferns and flowers are taller. 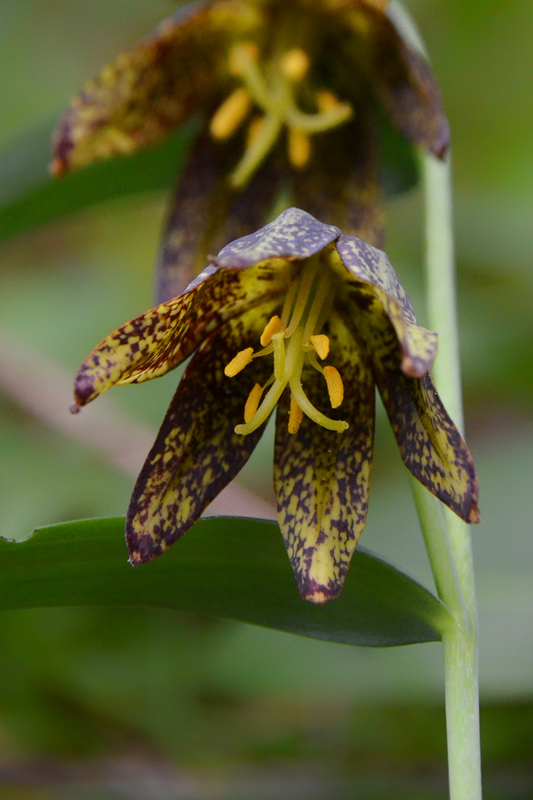 The chocolate lily (Fitillaria affinis) is common on the island, as are several other wildflowers. There are entire patches of the Fawn Lily (Erythronium oregonum). 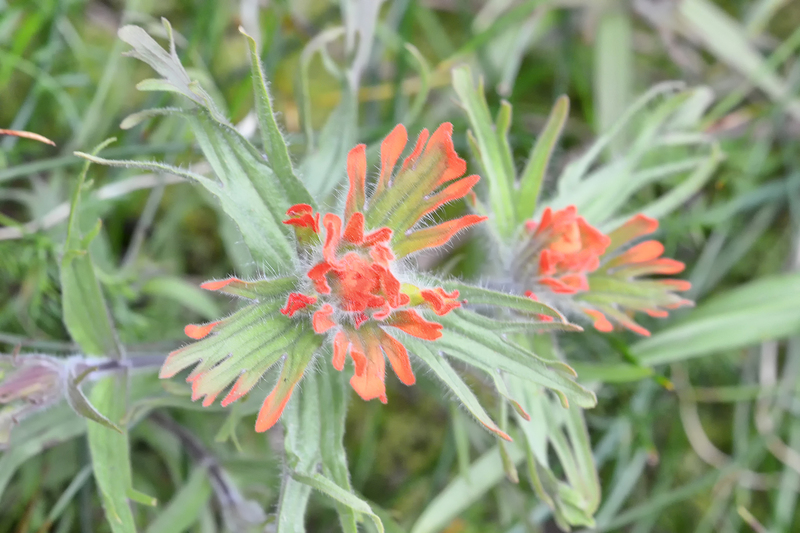 There are two types of Indian Paintbrush. One is orange; the other is redder. 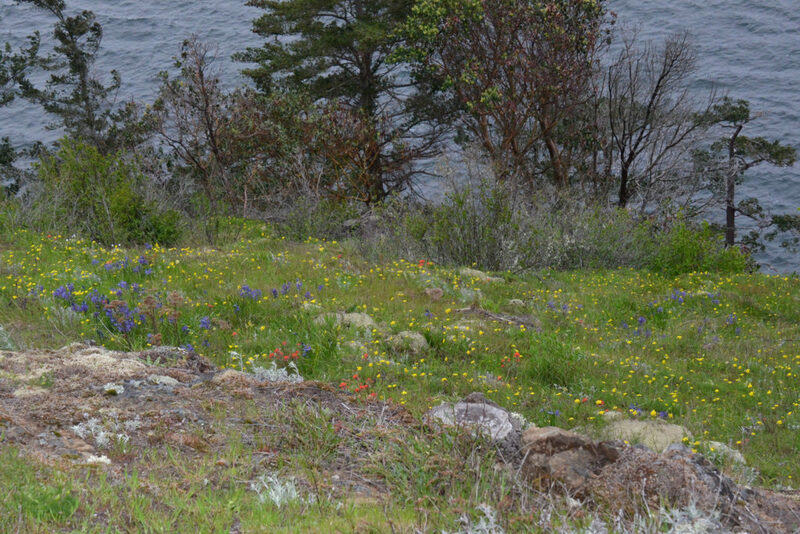 We didn’t spend much time on the hillside, as it was windy and rainy. But, a couple of photos give you an idea of what it looks like. 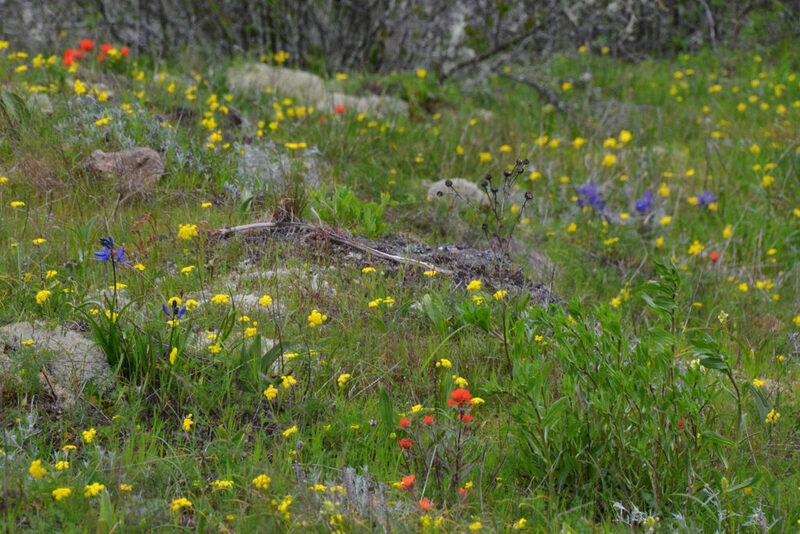 The yellow is Spring Gold (Lomatium utriculatum), which is in the carrot family. 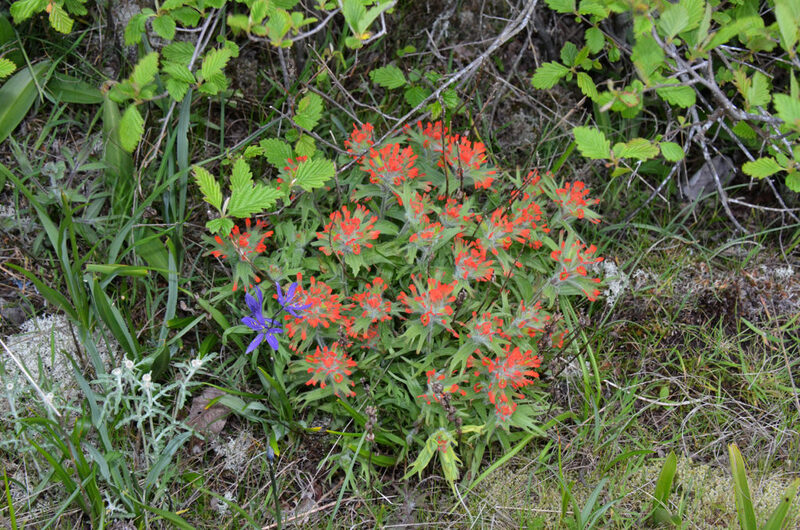 The purple is Common Camus (Camassia quamash) and the Harsh (Indian) Paintbrush (Castilleja hispida). There are others that are not visible in these photos. 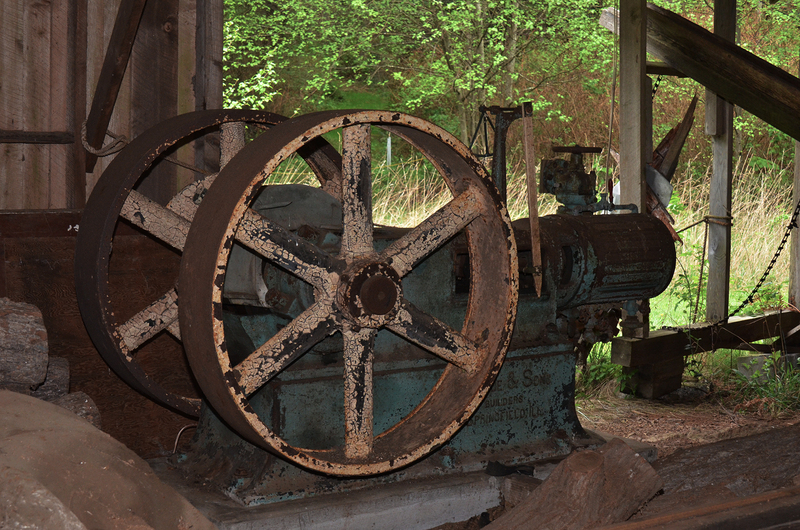 John Fluke had a lumber mill powered by a diesel generator. There is also a steam engine. This beach is covered in shell fragments. 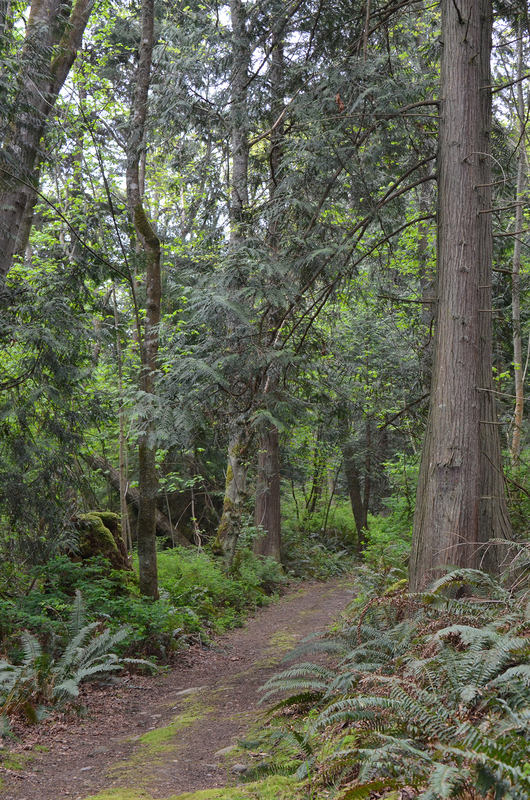 It was apparently a dumping ground for shells by Native Americans. Back at the landing, there is an orchard with several beautiful trees in bloom. 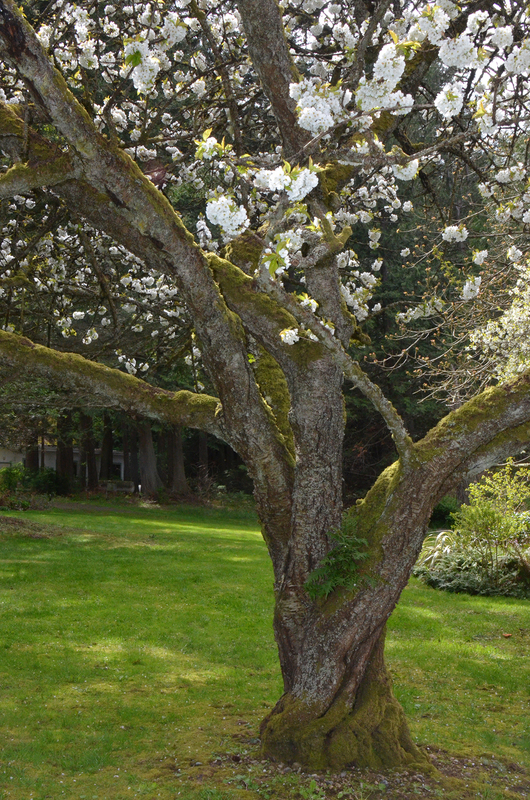 The large white tree on the left is a cherry tree. 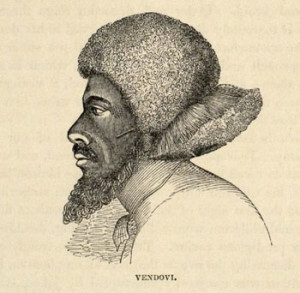 Vendovi is named after Ro Veidovi (Vendovi) (1802 – 1842). He was a chief of Rewa in the Fiji Group. He was accused of murdering ten American merchant sailors in the 1830’s. Lt. Charles Wilkes of the US Exploring Expedition was directed to take him into custody for trial. He was taken prisoner by the Americans in 1840, and he accompanied the Expedition aboard the USS Vincennes for the remainder of its voyage. Ro Veidovi fell ill on the return voyage, dying shortly after the USS Vincennes docked in New York harbor. His head was saved and the body buried in a Brooklyn grave. [taken from Wikipedia]. It is the only island in the region named after someone from Fiji. There are more pictures and more to the story. 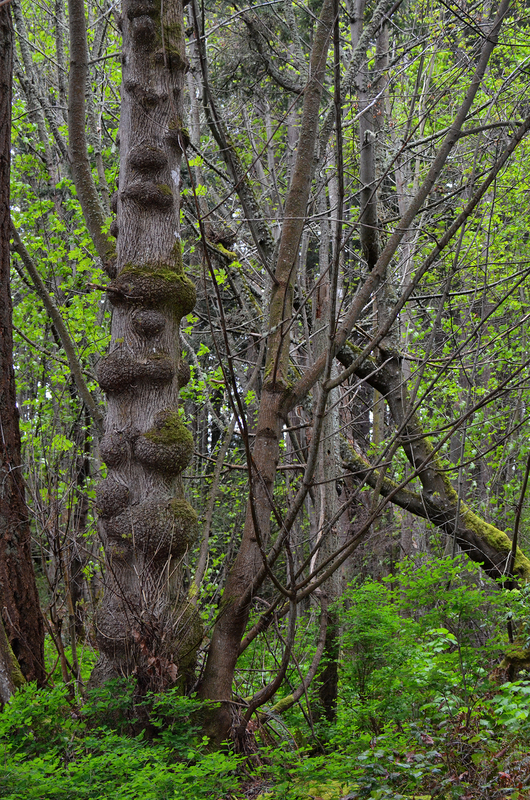 I need to visit the island again when I have more time and the weather is nicer; but, this gives you a glimpse of an unusual place in the Pacific Northwest.